Please consult an attorney before relying on this information. This is new law and subject to interpretation. (a) The rules and definitions contained in this section shall be applied throughout Chapter 32. (c) All rights of tenants under Chapter 32 shall be nonwaivable. (a) Authorized Agent. A person empowered by landlord(s), tenant, or tenant union to represent them. The agent need not be a member of the authorizing group. b. Proceeds from a subsequent transfer or lease of such property if the City's share of its fair market value is not returned to the City. DATCP regulations exempt the actual cost of a credit check fee (up to $20) from the definition of earnest money (ATCP 134.02(3)) and 2011 Wis. Act 108 (Wis. Stat. 66.0104(2)(b)) requires Madison to allow this as well. A landlord may now charge the actual cost, up to $20 for a credit check fee if they follow all rules in ATCP 134.05. (e) Grievance. Any dispute between tenant(s) and landlord over rents or other condition of tenancy. (h) Owner. One or more persons, jointly or severally vested with all or part of the legal title to the premises or all or part of the beneficial ownership and right to present use and enjoyment of the premises. The term includes a mortgagee in possession. (k) Rental Agreement. A written or oral agreement for the rental or lease of a specific dwelling unit or premises, in which the landlord and tenant agree on essential terms of tenancy such as rent. "Rental agreement" includes a lease. "Rental agreement" does not include an agreement to enter into a rental agreement in the future. (l) Residential Property. This chapter covers any premises which is used for any residential purpose under the terms of a rental agreement. (o) Tenant Union. Any organization which intends to engage in collective bargaining with landlord(s). 32.03 LANDLORD AND TENANT ISSUES COMMITTEE. 32.035 RESERVED FOR FUTURE USE. 32.05 TENANTS RIGHTS TO PRIVACY AND EXCLUSIVE POSSESSION. (a) Removing, altering or replacing locks affixed to the premises unless a key is immediately provided to the tenant therein so as not to deny the tenant access except as is necessary to preserve or protect the premises in the event of damage or destruction in the tenant's absence. In such a case, a key shall be provided to the tenants as soon thereafter as practicable. (b) Removal of doors or windows without the consent of the tenant therein except as is reasonably necessary to preserve or protect the premises when damage or destruction occurs in the tenant's absence. (c) Confiscation of personal property belonging to tenants in lieu of rent or any other alleged claim. Wis. Stat. 66.0104(2)(d)1, 2013 Wis. Act 76, Sec. 2 Eff. 3/1/14. (d) Except as provided in Subdivision (e), entering on a tenant's leased property including the shared areas within a single dwelling unit without at least twenty-four (24) hours notice of the specific date and approximate time of entry unless the tenant approves a shorter period of notice on a case by case basis, except when the landlord reasonably believes that entry is necessary to preserve or protect the premises from damage or destruction which is not intentionally caused by the landlord. NOTE: ATCP 134.09(2)(a)2 still applies: Landlords must enter at reasonable times and with 12 hour notice. The new law specifically says that landlords can't be required to communicate to tenants information that is not required by federal or state law. Since landlord notice of entry is required by state law, the question whether the City can require additional time, not additional notice. It could be argued this law stands. Additionally, if the landlord has 24 hours notice written into their lease, they must provide that for the term of the lease as a part of that contract. NOTE: This law was initially changed to 12 hour notice for "showing" the apartment in 2011 Wis. Act 108. Eff. 12/21/11. Entry for "repairs" and "to inspect" was added with 2013 Wis. Act. 76. Eff. 3/1/14. Wis. Stat. 66.0104(2)(a)4. Eff. 12/21/11. NOTE: There is a question about whether "entering into a contract" is a "communication" that would be restricted by 2013 Wis. Act 76 or if this provision still stands. If tenants have provisions in their leases about guest policies, the landlord must honor these provisions for the term of the lease as part of the contract. Wis. Stat. 66.0104(2)(d)1, 2013 Wis. Act 76, Sec. 2 Eff. 3/14/14. d. Non-emergency police and fire services. (c) Failure to comply with the provisions of this subsection shall subject a landlord to the penalties set forth in Sec. 32.14, M.G.O. NOTE: While the landlord is no longer required to communicate this, the law still requires the Building Inspection Division to create the document and charge no more than cost. This may still be a useful communication tool for landlords to inform tenants of their rights and responsibilities. The document provided by the City may need to be updated. (3) Receipt for Tenant Payments. NOTE: The City Council has unanimously refused to repeal this ordinance. They have passed a charter ordinance to override the state pre-emption on grounds that they have the right to regulate for the safety and welfare of Madison's citizens. If this law stands or is pre-empted will be unknown until it is litigated. 32.07 SECURITY DEPOSIT REFUND PROCEDURES. (1) The landlord may require as a condition of a rental agreement a security deposit for the purposes provided in Sec. 32.07(14) and for no other purpose. (a) In this section ‘security deposit’ means the total of all payments and deposits given by a tenant to the landlord in a residential tenancy as security for the performance of the tenant’s obligations, and includes but is not limited to all rent payments in excess of one month’s prepaid rent, all pet deposits, furniture deposits and key deposits. Wis. Stat. 66.0104(2)(b) Eff. 12/21/11. (b) The sum of all payments and deposits, held as security deposit shall not exceed the equivalent of one month’s rent. A security deposit may not be instituted or increased during the occupancy of any original tenant(s) under the same, an amended, a renewed or a new rental agreement. If, however, the terms of the amended, new or renewed rental agreement allow as a new condition a pet or a waterbed and the increase in the security deposit is mutually agreed upon in writing between the parties, a security deposit may be instituted or increased provided it does not exceed one month’s rent. Wis Stat. 66.0104(2)(b) Eff. 12/21/11. (c) Landlords who charge an amount less than or equal to fifty percent (50%) of one (1) month’s rent as a security deposit shall be exempt from the provisions of this ordinance which require the payment of a rent credit. (d) Except as permitted pursuant to Sec. 32.07(8) which provides that a security deposit shall be returned to a tenant or accounted for within twenty-one (21) days of vacation of the premises by that tenant, a landlord may not simultaneously hold a security deposit given by a tenant and a sub-tenant of the same rental premises unless the total of the deposits made by the parties does not exceed the equivalent of one month’s rent. Wis. Stat. 66.0104(2)(c), 2013 Wis. Act 76, Sec. 1 Eff. 3/1/14. (e) Nothing in this subsection shall be construed as prohibiting the voluntary prepayment of rent by a tenant or the prepayment of rent by a tenant pursuant to a mutually agreed upon semesterly, annual or other periodic payment plan, provided the plan contains a bona fide monthly rental payment option which the tenant is free to elect at her or his sole discretion. A bona fide rental payment option within the meaning of this ordinance is one where the total of all payments under the monthly payment option does not exceed by more than five percent (5%) the total of all payments under any of the other periodic payment options. NOTE: Previously, late fees were limited to 5%, this is another way of saying the same thing. (a) The rent credit and the date it is received shall be specified in the lease and in any subsequent renewal or given in writing to the tenant at the time of entering into the rental agreement. (b) If not credited to the last month’s rent annually or otherwise distributed to the tenant prior to the termination of the tenancy, the rent credit shall be paid to the tenant or accounted for in writing using the procedures set forth below for the return of the security deposit within twenty-one (21) days after surrender of rental premises and restoration of possession to the landlord. (c) Voluntary prepayments of rent by a tenant under Section 32.07(2)(e) are not subject to the rent credit provisions set forth in this subsection. (d) This subsection shall become effective January 1, 2004. Repealed and recreated by Ord. 13, 414, 10-4-03 Wis. Stat. 66.0104(2)(b)Eff. 12/21/11. (5) The landlord and tenant shall use a written CHECK-IN AND CHECK-OUT procedure. (a) The landlord shall furnish copies of check-in and check-out forms to tenants of each dwelling unit. The check-in form shall be provided to the tenant at the beginning of the tenancy and the check-out form shall be provided to the tenant prior to the termination of the tenancy. 1. Inspect the dwelling unit and notify the landlord of any pre-existing damages or defects by noting the conditions on the check-in form. (d) All check-out forms shall be comparable to the check-in forms. All check-out forms shall provide an obvious place for the tenant’s forwarding address. Check-out forms shall also provide a space for the rent credit due and a space for the landlord’s explanation for any portion of the rent credit deemed not due. (e) Acknowledgement, if any, of receipt of the check-in and check-out forms or combined check-in/check-out form shall be included in a written document entitled “NONSTANDARD RENTAL PROVISIONS”, which the landlord provides to the tenant. (a) If the tenant vacates before the last day of tenancy provided under the rental agreement, and gives the landlord written notice that the tenant has vacated, surrender occurs when the landlord receives the written notice that the tenant has vacated. If the tenant mails the notice to the landlord, the landlord is deemed to receive the notice on the second day after mailing. (b) If the tenant vacates the premises after the last day of tenancy provided under the rental agreement, surrender occurs when the landlord learns that the tenant has vacated. (a) Failure to comply with the security deposit limit in Sec. 32.07(2)(b). The money due plus up to twice the amount wrongfully held. (b) Failure to comply with the rent credit provisions under Sec. 32.07(3). The money due plus up to twice the amount wrongfully withheld or not provided. (c) Failure to use check-in/check-out forms under Sec. 32.07(5). The money due plus up to twice the amount wrongfully withheld. (e) Failure to comply with Sec. 32.07(14) & (15) relating to the reasons for which security deposits may be withheld. (11) The holder of the landlord’s interest in the premises at the time of the termination of the tenancy is bound by this section. (12) This section does not preclude the landlord or tenant from recovering other damages to which the landlord or tenant is entitled. (13) Any attempted waiver of this section by a landlord or tenant by contract or otherwise is void and unenforceable. (b) Unpaid rent for which the tenant is legally responsible, subject to Sec. 704.29, Wis. Stats. (c) Payment which the tenant owes for utility service provided by the landlord but not included in the rent. (d) Payment which the tenant owes for direct utility service provided by a government owned utility, to the extent that the landlord becomes liable for the tenant’s nonpayment. (e) Unpaid mobile home parking fees assessed against the tenant by a local unit of government under Sec. 66.0435(3), Wis. Stats., to the extent that the landlord becomes liable for the tenant’s nonpayment. Wis. Stat. 704.28(2), 2013 Wis. Act 76, Sec. 20 Eff. 3/1/14. (f) Other reasons authorized in the rental agreement, which may include one or more nonstandard rental provisions authorizing a landlord to withhold from a tenant’s security deposit for reasons not identified in Subdivisions (a) through (e). The landlord shall include the non-standard provisions, if any, in a separate written document entitled “NON-STANDARD RENTAL PROVISIONS” which the landlord provides to the tenant. The landlord shall specifically identify and discuss each non-standard provision with the tenant before the tenant enters into any rental agreement with the landlord. If the tenant signs or initials a non-standard rental provision, it is rebuttably presumed that the landlord has specifically identified and discussed that non-standard provision with the tenant and that the tenant has agreed to it. wear and tear, including activities that are customarily performed by the landlord or the landlord’s agents before a new tenancy commences, including, but not limited to, washing windows, shampooing carpets, occasional repainting or reupholstering furniture; or for other damages or losses for which the tenant is not otherwise responsible under applicable law. 32.08 HOUSING OWNERSHIP, DEFECT AND INFORMATION DISCLOSURE. Wis. Stat. 66.0104(2)(d), 2013 Wis. Act 76, Sec. 2 Eff. 3/1/14. (b) An owner of the premises or a person authorized to act for and on behalf of the owner for the purpose of service of process and for the purpose of receiving and receipting for notices and demands. The address disclosed shall be an address within the state at which service of process can be made in person. (c) A landlord shall keep tenants informed of changes, if any, in the information required in Subdivisions (a) and (b). The landlord shall mail or deliver written notice of each change within ten (10) business days after the change occurs. This section extends to and is enforceable against any successor landlord. 1. The dwelling unit lacks hot or cold running water. 2. Heating facilities serving the dwelling unit are not in safe operating condition, or are not capable of maintaining a temperature in all living areas of the dwelling unit of at least 67°F (19°C) during all seasons of the year in which the dwelling unit may be occupied. Temperatures in living areas shall be measured at the approximate center of the room, midway between floor and ceiling. 3. The dwelling unit is not served by electricity, or the electrical wiring, outlets, fixtures or other components of the electrical system are not in safe operating condition. 4. Any structural or other conditions in the dwelling unit or premises which constitute a substantial hazard to the health or safety of the tenant, or create an unreasonable risk of personal injury as a result of any reasonably foreseeable use of the premises other than negligent use or abuse of the premises by the tenant. 5. The dwelling unit is not served by plumbing facilities in good working condition. 6. The dwelling unit is not served by sewage disposal facilities in good operating condition. d. the violation has not been corrected. Wis. Stat. 66.0104(2)(d)1, 2013 Wis. Act 76, Sec. 2 Eff 3/1/14. 2. A copy of any Hearing Examiner decision and order which affects the subject rental unit or any common areas of the subject rental building. (b) Performing the obligations of the landlord under this section and under the rental agreement and expending or making available for such purpose all rent collected from the premises. (5) Written Reasons for Denial of or Non-Renewal of Tenancy. (a) All applications for tenancy shall contain the following question in writing in a prominent place on the application: "Do you wish to receive a written explanation of the denial of tenancy? Yes_____ No_____." 1. Unless the applicant has indicated on the application that the applicant does not want to receive a written explanation of a denial of tenancy, the lessor or any person authorized to enter into rental agreements on behalf of the lessor, shall provide any applicant who is denied tenancy with a written statement of reasons for the denial of tenancy as required by sub (d). 2. If the applicant has indicated s/he does not want to receive a written explanation, the applicant may request a written explanation of a denial within thirty (30) days and the lessor shall provide the statement as required by sub. (d). (c) A lessor that decides not to renew a tenant’s lease at the expiration of the lease term or terminates a periodic tenancy or tenancy at will, shall provide the affected tenant with a notice of non-renewal as required by sub. (d). The notice shall be served at least sixty (60) days prior to the expiration of the lease term unless the term is shorter than sixty (60) days, which shall require a notice compliant with Wis. Stat. § 704.19. 1. In denying an initial application for tenancy or non-renewal of a lease at the expiration of a lease term or a tenancy period or terminating a tenancy at will, the lessor shall furnish the applicant or tenant a written statement of the reasons tenancy was denied or terminated. 2. The statement shall include the reason(s) for the action, a description of the information supporting the decision, and identification of all sources of the relied-upon information. Lessor shall also furnish the applicant with a copy of the lessor’s tenant selection policies. 3. The written notification required by sub. 1. shall be personally delivered or mailed to the applicant within three (3) days of the denial of tenancy. (6) Severability. The provisions of any part of this ordinance are severable. If any provision or subsection hereof or the application thereof to any person or circumstances is held invalid, the other provisions, subsections and applications of such ordinance to other persons or circumstances shall not be affected thereby. It is declared to be the intent of this ordinance that the same would have been adopted had such invalid provisions, if any, not been included herein. (7) Effective Date. The effective date of this section shall be August 1, 1978. All disclosure and notice to tenant requirements under Subsections (1) and (4) shall be given to tenants under existing rental agreements on or prior to said date and thereafter to any new tenants as provided herein. The requirements of Subsection (2) shall be effective on August 1, 1978 and be applicable to all current and future tenancies. (3) Performance; Unavoidable Delays. No landlord shall fail to complete the promised cleaning, repairs or improvements on the date or within the time period represented under Subsection (1), unless the delay is for reason of labor stoppage, unavailablility of supplies or materials, unavoidable casualties, or other causes beyond the landlord’s control. The landlord shall give timely notice to the tenant of reasons beyond the landlord’s control for any delay in performance, and stating when the cleaning, repairs or improvements will be completed. (2) Refunding or Crediting An Earnest Money Deposit. 1. The landlord rejects the rental application or refuses to enter into a rental agreement with the applicant. 2. The applicant withdraws the rental application before the landlord accepts that application. 3. The landlord fails to approve the rental application by the end of the third business day after the landlord accepts the applicant’s earnest money deposit, or by a later date to which the tenant agrees in writing. The later date may not be more than 21 calendar days after the landlord accepts the earnest money deposit. 1. Apply the earnest money deposit as rent or as a security deposit. 2. Return the earnest money deposit to the tenant. (c) A person giving an earnest money deposit to a landlord does not waive his or her right to the full refund or credit owed under Subdivision (a) or (b) merely by accepting a partial payment or credit of that amount. (3) Withholding An Earnest Money Deposit. (a) A landlord may withhold from a properly accepted earnest money deposit if the prospective tenant fails to enter into a rental agreement after being approved for tenancy, unless the landlord has significantly altered the rental terms previously disclosed to the tenant. (b) A landlord may withhold from an earnest money deposit, under Subdivision (a), an amount sufficient to compensate the landlord for actual costs and damages incurred because of the prospective tenant’s failure to enter into rental agreement. The landlord may not withhold for lost rents unless the landlord has made a reasonable effort to mitigate those losses, as provided under Sec. 704.29, Wis. Stats. 32.11 PROHIBITED RENTAL AGREEMENT PROVISIONS. (1) Authorize the eviction or exclusion of a tenant from the premises, other than by judicial eviction procedures as provided under Ch. 799, Wis. Stats. (2) Provide for an acceleration of rent payments in the event of tenant default or breach of obligations under the rental agreement, or otherwise purport or waive the landlord’s obligation to mitigate damages as provided under Sec. 704.29, Wis. Stats. (3) Require payment, by the tenant, of attorney’s fees or costs incurred by the landlord in any legal action or dispute arising under the rental agreement. This does not prevent the recovery of costs or attorney’s fees by a landlord or tenant pursuant to a court order under Ch. 799 or 814, Wis. Stats. (4) Authorize the landlord or any agent of the landlord to confess judgment against the tenant in any action arising under the rental agreement. (5) Relieve, or purport to relieve the landlord from liability for property damage or personal injury caused by negligent acts or omissions of the landlord. This does not affect ordinary maintenance obligations assumed by a tenant under a rental agreement, in accordance with Sub. (7) and Sec. 704.07, Wis. Stats. (a) Personal injury arising from causes clearly beyond the tenant’s control. (b) Property damage caused by natural disasters, or by persons other than the tenant or the tenant’s guests or invitees. This does not affect ordinary maintenance obligations assumed by a tenant under the rental agreement, in accordance with Sub. (7) and Sec. 704.07, Wis. Stats. NOTE: With the passage of 2011 Wis. Act 143 the provisions above, and a few additional ones detailed in Wis. Stat. 704.44 additional ones, can make the entire lease "void and unenforceable". This applies to any lease in effect as of 3/31/12. (1) Advertising or Rental of Condemned Premises. No landlord may rent or advertise for rent any premises which have been placarded and condemned for human habitation, or on which a notice of intent to placard and condemn, or an order to raze, or to rehabilitate or raze, or any similar order has been received under state or local laws or ordinances, until and unless all repairs required to bring the property into compliance with the laws or ordinances have been completed. 3. Asserting, or attempting to assert any right specifically accorded to tenants under state or local law. Wis. Stat. 66.0104(2)(a)1.f. Eff. 12/21/11. (a) No landlord may deny an application for housing based solely on a minimum income requirement or minimum income-to-rent ratio or other financial criterion of a similar nature as part of a prospective tenant screening process if other reliable, demonstrable evidence of an applicant’s actual ability to pay the rental amount exists and is provided by the applicant. “Evidence of actual ability to pay the rental amount” shall mean demonstrated ability to pay both (i) a comparable income-to-rent ratio and (ii) a comparable rent amount over the past twenty-four months with income from any lawful source or combination of lawful sources. A landlord may consider increases in the applicant’s expenses and debts compared to the prior twenty-four month period when calculating the evidence of the actual ability to pay the rental amount. “Reliable demonstrable evidence” shall include but not be limited to: references from landlords and employers or written documentation reasonably necessary to verify prior rent payment history and income, such as a lease, cancelled checks or receipts; certificates, vouchers, or other proof of governmental assistance; wage statements; pay stubs or proof of other lawful sources of income; or tax returns. “Comparable” shall mean equal to or greater than. (c) Nothing in this subsection shall prohibit a landlord from requesting supplementary documentation of income if required to do so by law or as a condition of eligibility under any local, state or federal government program or from voluntarily considering other evidence of actual ability to pay submitted by an applicant in the event reliable demonstrable evidence as defined above does not exist. (d) Nothing in this subsection shall prohibit a landlord from requiring a co-signer or guarantor for a rental agreement, where the applicant does not meet the minimum income requirement or minimum income-to-rent ratio and some or all of the rent will be paid by a private individual on the applicant’s behalf. (e) Nothing in this subsection shall be construed to prohibit a landlord from denying an application based solely on an applicant’s participation in, or the requirements of, the federal Section 8 program. NOTE: Section 8 is still a protected class under chapter 39. (f) In addition to the penalties provided in this chapter, an applicant who is denied housing based on a minimum income requirement or minimum income-to-rent ratio may sue for damages therefor in a court of competent jurisdiction and shall recover twice the amount of any pecuniary loss, together with costs including reasonable attorney’s fees. (g) Upon receipt of an application for housing or an earnest money deposit, the landlord shall disclose in writing to the applicant any use of a minimum income requirement or minimum income-to-rent ratio and the reliable demonstrable evidence acceptable to landlord as part of a prospective tenant screening process. (h) Upon denial of an application for housing that is based solely on a minimum income requirement or minimum income-to-rent ratio, the landlord shall furnish in writing to the applicant a notice of the reason or reasons for the denial. Reasons for denial shall be provided to the applicant by the end of the third business day after the landlord receives the application or earnest money deposit, or by a later date to which the applicant agrees in writing. The later date may not be more than 21 calendar days after the landlord receives the earnest money deposit. The notice of reasons for denial shall inform the applicant that the application will receive another consideration if there is an available unit and if the applicant furnishes to the landlord evidence of actual ability to pay the rental amount. Notice of denial shall also include information regarding the type of information the landlord will find acceptable in order to reconsider the applicant. Notwithstanding the above, nothing in this subsection shall require a landlord to hold the apartment for an applicant who has initially been denied based on a minimum income requirement or minimum income-to-rent ratio. (i) This ordinance shall become effective 45 days from the date of its adoption by the Common Council. Wis. Stat. 66.0104(2)(a)4 Eff 12/21/11. Wis. Stat. 66.0104(2)(a)4. Eff 12/21/11. (9) Landlord and Tenant shall enter into a Non Standard Rental Provision, in the manner prescribed in Sec. 32.07(14)(f), Madison General Ordinances, that provides that Landlord will not enter into an agreement to rent the leased premises to another tenant for the subsequent lease period until after the date specified in the Non Standard Rental Provision. This provision does not apply if a lease period is less than nine (9) months Nothing in this subsection shall prohibit a landlord from mitigating their damages after an eviction or a lease termination. (a) If Landlord and Tenant fail to enter into a Non Standard Rental Provision regarding showing premises for rental purposes, then it is presumed that the parties to the lease intend that the Landlord will not rent the leased premises to another tenant for a subsequent lease period until after one fourth (1/4) of the lease period has passed. Wis. Stat. 66.0104 (2)(c), 2013 Wis. Act 76, Sec. 1 Eff. 3/1/14. (a) Misrepresent the location, characteristics or equivalency of dwelling units owned or offered by the landlord. (b) Misrepresent the amount of rent or non-rent charges to be paid by the tenant. (c) Fail to disclose, in connection with any representation of rent amount, the existence of any non-rent charges which will increase the total amount payable by the tenant during tenancy. (a) Refusal to Make Available. It shall be unlawful for any person receiving City financial assistance for the development, redevelopment or rehabilitation of a housing project to refuse to rent or lease, refuse to negotiate for the lease or rental, or otherwise make unavailable, deny or withhold such housing solely because the applicant for housing is a direct recipient of federal, state or local government housing subsidies. Recipients of City financial assistance shall comply with this subdivision for a minimum of the term of assistance or longer, as negotiated. This provision shall apply only to the specific project receiving City financial assistance. (14) Rent In Place. It shall be unlawful for a landlord to: terminate the tenancy of a tenant, prior to the last day of tenancy under the existing rental agreement, based solely upon the tenant’s participation in, or the requirements of the federal Section 8 program, when the tenant has received a voucher for the federal Section 8 program from the CDA; or refuse to accept rent payments in the form of a federal Section 8 voucher when the tenant has received said voucher after the approval of the rental application. (a) Amendments and Extension of Lease. Any amendments to the rental agreement, or any rental agreement, which may be required by the tenant’s participation in the federal Section 8 program shall not extend the term of the tenancy beyond the last day of the rental agreement, unless the tenant and landlord agree to such an extension. (b) Referral to City Attorney. A refusal by a landlord to participate in the Section 8 Program when a tenant has received a voucher for it from the CDA prior to the last day of tenancy under the existing rental agreement may be reported to the CDA, who shall refer the refusal to the City Attorney. A landlord found to have wrongly denied tenancy under the Section 8 program may be prosecuted by the City Attorney’s office and, upon conviction, shall be subject to the penalties under Sec. 32.12(16) of these ordinances. (15) No landlord may refuse to provide an application form or deny an application for housing based solely on the status of a tenant’s application for a Section 8 voucher or that a tenant is on a waiting list to receive a Section 8 voucher. A refusal by a landlord to provide an application form or deny an application for housing based solely on the status of a tenant’s application for a Section 8 voucher or that a tenant is on a waiting list to receive a Section 8 voucher may be reported to the CDA who shall refer the refusal to the City Attorney. A landlord found to have wrongly denied tenancy under the Section 8 program may be prosecuted by the City Attorney’s office and, upon conviction, shall be subject to the penalties under Sec. 32.12(17) of these ordinances. (a) Participation Limited. Nothing in this subsection shall be construed to require a landlord to participate in the federal Section 8 program other than to accept a federal Section 8 voucher from a tenant pursuant to Secs. 32.12(13) and (14), Madison General Ordinances. (a) By City. Any person who violates any provisions contained in Subsections 32.12 (13), (14) or (15) of these ordinances, or fails to comply with any of the several requirements, shall upon conviction thereof forfeit not less than $100 nor more than $3,000 for the first conviction within three (3) years; not less than $3,000 nor more than $5,000 for a second conviction within three (3) years; and not less than $5,000 nor more than $10,000 for a third or subsequent conviction within three (3) years. (1) Application of Section. This section applies to any tenancy if there is no contrary provision in writing signed by both parties. Nothing in this section is intended to affect rights and duties arising under other provisions of the Statutes. 4. Repair or replace plumbing, electrical wiring, machinery or equipment furnished with the premises and no longer in reasonable working condition, except as provided in Sec. 32.13(3)(b). (b) If the premises are part of a building, other parts of which are occupied by one or more other tenants, negligence or improper use by one tenant does not relieve the landlord from his duty as to the other tenants to make repairs as provided in Subdivision (a) above. (c) If the premises are damaged by fire, water or other casualty, not the result of the negligence or intentional act of the landlord, this subsection is inapplicable and either Sec. 32.13(3) or (4) governs. (a) If the premises are damaged by the negligence or improper use of the premises by the tenant, the tenant must repair the damage and restore the appearance of the premises by redecorating. However, the landlord may elect to undertake the repair or redecoration, and in such case the tenant must reimburse the landlord for the reasonable cost thereof; the cost to the landlord is presumed reasonable unless proved otherwise by the tenant. (b) The tenant is also under a duty to keep plumbing, electrical wiring, machinery and equipment furnished with the premises in reasonable working order if repair can be made at cost which is minor in relation to the rent. (1) Any violation of any section of Chapter 32 of the Madison General Ordinances for which there is not provided a specific penalty shall be subject to a forfeiture of not less than sixty dollars ($60) nor more than six hundred dollars ($600) upon conviction. Each day of violation shall be construed as a separate offense. (1) No person or tenant shall be retaliated against for complaining of violations of Secs. 32.05, 32.07, 32.11, 32.12 or 32.13 of the Madison General Ordinances or for complying with those sections. (a) The tenant’s statement that the tenant intends to make self help repairs to the property. (b) The name of the tenant. (c) A list of the work to be performed. The list shall contain only work necessary to correct the deficiencies found by the Building Inspection Division that were not completed by the original due date. (d) The name of the persons who will perform the work, including the name of any contractors, subcontractors or other persons hired by the tenant. (e) The date that work will be commenced. Such date shall not be less than ten (10) days after the date of mailing the notice. (f) If the tenant intends to perform part or all of the work, a good faith estimate of the number of hours needed to complete the work by the tenant. This notice requirement shall be construed liberally in favor of the person giving notice. If the landlord has actual notice that the tenant intends to use this self help procedure to correct the items in the Order of the Building Inspection Division, the tenant shall not be barred from deducting the cost of the self help repair from their rent because of a deficiency in meeting this notice requirement. (a) No work may be commenced by the tenant until ten (10) calendar days after the tenant has mailed, first class return receipt requested, the notice provided in Sub. (2). The notice provided in Sub. (2) may not be mailed more than ten (10) calendar days before the original due date provided in the original order of the Building Inspection Division. After ten (10) calendar days, if the landlord has not either: commenced the work contained in the order of the Building Inspection Division using their own employees and contractors, or agreed to do the work by assuming direct responsibility for supervising and compensating the contractors retained by the tenant under the schedule previously negotiated by the tenant and the contractor, then the tenant may commence the work. If the landlord agrees to commence the work to correct the deficiencies, the tenant shall make reasonable efforts to accommodate the work and to permit access to the dwelling unit. If the landlord agrees to commence the work to correct the deficiencies, but substantial compliance is not obtained within 30 days of commencing the work, the tenant shall again be eligible for the rent abatement procedures contained in Sec. 32.04, MGO, or the tenant may immediately proceed to complete the work and may deduct payments made by the tenant for work in the manner provided herein. within twenty-four (24) hours of giving notice. (4) Scope of Work to be Deducted. No rent deduction may be made by the tenant for payment for any repairs or work other than work done to correct the code violations outlined in the order of the Building Inspection Division that were not corrected by the original due date. (5) Rent Deduction. At the time rent is due, the tenant shall submit copies of all invoices for the work to the landlord along with an itemized statement indicating the actual cost of repairs paid for by the tenant and lien waivers from all contractors for work done. The tenant may deduct the entire amount of those repairs for which the tenant has a payment receipt and a lien waiver from contractors and suppliers, from the total amount of rent due. If the actual amount of the receipt for the work or materials exceeds one periodic rent payment, the excess shall be applied to future rents due until the entire amount paid by the tenant for the work or materials has been deducted from rent. In the event that tenants or co-tenants who pay separate rent have jointly completed the work, they may each deduct a pro rata share of the cost of the repairs from their respective rent payments. If the owner files a letter of objection (copied to the tenant) with the Building Inspection Division within ten (10) days of receiving notice from the tenant of intent to make repairs under this ordinance, the tenant cannot reduce the rent under the provisions of this ordinance until determined eligible for rent abatement by a Hearing Examiner, pursuant to Sec. 32.04, MGO. For those items determined to be eligible for rent abatement, the landlord will reimburse the tenant one hundred and twenty-five percent (125%) of the costs for repairs as determined by the Hearing Examiner. (6) Who May Perform Work; Permits Required. When State law, the Wisconsin Administrative Code, Madison General Ordinances or other applicable regulations require that a licensed professional or state-credentialed dwelling contractor perform the work to correct the deficiencies, including architectural, design, surveying, electrical, plumbing, heating and air conditioning work, no one other than a properly licensed professional or state-credentialed dwelling contractor shall perform such work. The tenant shall not perform any work themselves when a licensed professional or state-credentialed dwelling contractor is required to perform the work, nor shall the tenant permit such work to be done by anyone other than a properly licensed professional or state-credentialed dwelling contractor qualified to do the work. A tenant may deduct the cost of materials used by the tenant if the tenant chooses to complete the work themselves. A tenant may deduct the cost of their labor from rent at the hourly rate provide in Sec. 4.20(3), MGO., not to exceed the number of hours stated in the estimate provided pursuant to Sec. 32.17(2)(f), MGO. 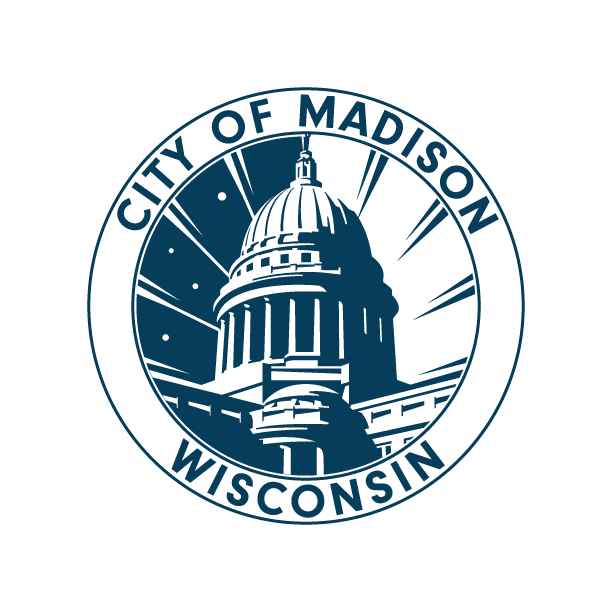 All work to be completed must be done in a workmanlike manner and must comply with all applicable state and City codes and regulations as provided in the Madison General Ordinances. No work may be commenced by the tenant until all applicable permits and regulatory approvals are obtained. If a permits or approvals are required to commence the work, the tenant shall obtain all applicable permits and approvals and may deduct the fees from the rent, in the manner specified in sub (5). (7) Lien Waivers. Any contractor shall forward any lien waivers directly to the tenant who contracted the work. The tenant shall forward all lien waivers from contractors to the landlord along with the receipts deducted from the rent. landlord must show a good reason for his or her action, other than one related to or caused by the operation of this ordinance, including but not limited to normal uniform rental increases due to utility increases or other increased costs to the landlord, or for other bona fide, nondiscriminatory business reason.